Software for modelling surfaces, solids and meshes. PowerShape is available in three versions: Standard, Premium and Ultimate. FeatureCAM is software which using the feature-based technology, to reduce programming time and automated machining. FeatureCAM is available in three versions: Standard, Premium and Ultimate. PowerMill bases on advanced machining strategies, thanks to which it allows to achieve the highest quality of a part in the shortest possible time. PowerMill is available in three versions: Standard, Premium and Ultimate. CAD/CAM for design engineers and designers. The software features precise tools for designing, simulation and for producing reliefs with high degree of details. ArtCAM is available in two versions: Standard and Premium. PowerInspect is a solution for the quality control based on CAD models, working with many types of equipment. PowerInspect is available in three versions: Standard, Premium and Ultimate. 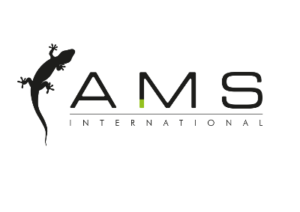 AMS offers comprehensive services in the field of implementing modern systems in the company. Its composition includes pre-sales analysis, postprocessors implementation and user training. We offer one-day or several days software training. We offer full implementation services, configuration and optimization of software. Postprocessors prepared by our team are created on the basis of the Customer’s individual requirements. Assistance in selection of tools, complex implementation of palletization systems and elaboration of NC machining program. Autodesk company is a leader in 3D software to be applied in architecture, engineering and entertainment sectors. CIW is the first organization supporting Polish Technical Universities in scope of education. It is located on the grounds of the University of Science and Technology in Bydgoszcz. The aim of the Centre is to provide practical education of qualified specialists for production establishments.